Litter Robot Open-Air Review: Read This Automatic Box Story! Are you looking for the perfect litter box for your cat? How does an automatic litter box with s﻿elf-cleaning features sound? I was tired of cleaning my kitten litters and I really needed a good solution. Today, I’ll be introducing you to a unique, one-of-a-kind automatic box called Litter Robot. I assure you, it’s one of the most advanced automatic litter boxes around. You’ll be impressed! 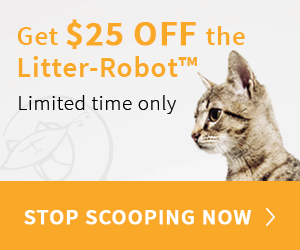 Get $25 off from Litter Robot! Click here for more details and to order. This is my top recommendation for litter boxes. It doesn't get any better than this! How Does the LRII Work? 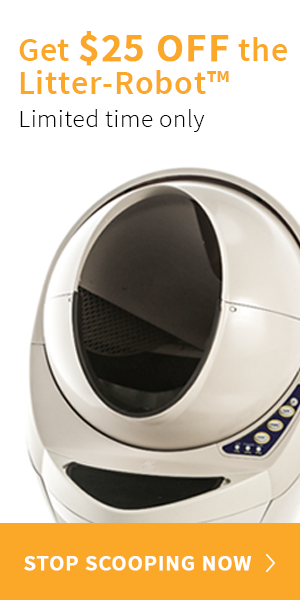 Litter Robot is all about cleaning your cat’s litter easily to remove odor and waste for cats of any size. These automatic self-cleaning boxes have a patented system that’ll separate waste from litter and eliminate the need for you to scoop. There are tons of types that work for multiple cats, whether they’re small, large, or just plain picky about their litter box! 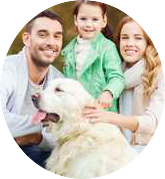 Since the company began, it has been focused on safe ways for your cat to do their business so you don’t have to clean up. On top of that, they even make their products right in the US with a focus on environmental sustainability, so you can rest easy. Litter Robot III notices when your cat exits, timing the cleaning cycle so that waste will clump before the robot starts up automatically. The globe will slowly rotate to separate litter from waste, meaning that all you have to do is empty it out. A self-cleaning litter box like this one works with only a couple button presses and some simple cleaning. This self-cleaning automatic litter box works great for multiple cats, saving you up to 50% of your litter. With the large entryway and automatic night light, you don’t need to worry about your cat getting in and out. The durable construction will make sure the litter and the odor stay in with the waste while your cat comes out looking pristine. There’s even a light that’ll let you know when the waste drawer is full so you can empty it out! A little pricey but most people agree that the quality and convenience more than makes up for it! Most customers are incredibly pleased with their purchase. For more benefits, check out my post on why it's simply the best. It is a little large and many people note the price, but the product completes blows them away. Lance was so happy that it worked for multiple cats easily, and that it was able to “sleep” for 8 hours during the night. He loved how well-made it was, so it was easy to clean out the waste tray and dump the litter just using a button. Cassie loved the way everything clumped together, and many customers noticed how this especially reduced litter usage by as much as 75%. Some cats even become obsessed with their new box as they adjusted quickly! If they try to go in while it’s cycling, it’ll even stop just to let them do their business. Of course there were a few issues, although most people didn’t consider them to be deal breakers. The litter box does self-clean and deposit the waste into a container that you empty out, but some buyers wish it was bigger. This would let you wait just a little longer between cleanings. Other than simple things like this, the price was the main issue. It was a lot for most people, although each of them found that the price was completely worth it when you consider what you’re getting. The plastic liners add a bit to the cost too, and the noise can be annoying if the box is in your room. As long as the model is working correctly, people love it. The new and improved version is definitely an advancement over the Litter Robot 2. How, you ask? Well, it may not be worlds apart, but there are some new features that people find to be very useful when reviewing their new robot. One of these features is the light on the drawer that tells you when it’s full. You won’t need to guess anymore, and can just empty it out when you see the flashing. Older models were also more difficult to see in easily. They were a little lower and had a very small door. With the Litter Robot III, you won’t have any trouble seeing inside, and multiple cats or larger cats can fit in without any sort of problem. The higher model also allows you to read the print on the buttons with greater ease, without constantly bending over and getting too close. Litter Robot is an exceptionally advanced solution and having it will literally mean you will never have to scoop a filthy litter again. Yes, even if you have more than 1 cat! It has a one-of-a-kind configuration with a spinning system that isolates the waste from the spotless litter and stores it in a repository on the base of the unit. If you have small cats that weigh no more than 5 pounds, be sure to supervise their use of the machine. Because of its light weight, its mechanism won't be activated automatically, hence making the machine not as safe or effective for them. So if you do happen to have a small cat, you should use the box manually by turning on the unit when it should be cleaned and turning it off when the cleaning cycle has finished. Litter Robot II works with clustering feline litter and the use of Ultra-Premium Clumping Cat Litter is recommended if you want to avoid issues like dust when rotating, waste getting stuck on the Globe, dust when spinning or controlling bad odors. Please note that the unit does not work with litters that are non-clustering, litters based with newspaper nor pellets with Pine bases. Once your cat gets in the box, its weight is identified by an uncommon sensor which triggers a 7-minute commencement after it leaves the unit to begin a cleaning cycle. When the counter hits zero, the constituent of the globe spins and carefully isolates the waste bunches from the spotless litter. These clusters drop into a waste drawer situated at the base of the unit. This drawer contains a carbon channel for better smell control. For your cat's safety, the globe turns gradually and the unit stops consequently if your feline re-enters the litter box while in cleaning process. The machine will stop for 15 seconds to continue the cleaning cycle. If the cat is still inside the device, the Globe won't turn. It is unique in that it does not have a rake system and thus does not need to be cleaned and maintained frequently. The highlight is that a simple push of the "cycle" button is all you need to get manual cleaning cycles. Safe to use and reliable. Doesn't get clogged or jammed as it doesn't use any rakes or wires. The box is also a litter saver - the filtering framework keeps the litter and your cat’s paws clean. Its waste goes into a base drawer for simple stowed transfer. Useful for long outings, the drawer can contain a few days of stowed waste. Programmed 7-minutes-delay-cleaning decreases fundamentally the litter box scent. It highlights manual cleaning cycles with a push of a button. It also gives you more opportunity to take short outings and it gives you more leisure time to enjoy with your pet. Litter robot comes with a 18 month full guarantee. Cleaning litter boxes will become extremely easy; you just need to change kitchen junk packs at regular intervals. The best rubbish packs to use are the 13 gallon packs but the 8 gallon ones are also great. If you have a few cats, you may need to replace the sacks every 2-3 days, but you will no longer have to clean up the litter box by hand. The LR II is a protected unit. It works at 12 volts (AC/DC connector included). Plus, you don't have to worry about loose or sharp pieces or any electrical wiring that could reach your feline and harm them. The Litter Robot may be used by cats weighing up to 15 pounds, but considering a cat's flexibility, bigger cats could make themselves fit into the litter box without any issues. It naturally cleans the litter box and is easy to setup. It doesn't require costly plate or expendable containers. It works with clumping cat litter and successfully eliminates the smell from the litter box using carbon channels. You don't need to purchase supplies intermittently to make it work. It is comfortable and suitable for your cats and do take note that it also works much better with biodegradable cat litter. Back by popular design, the LR Bubble was created for cats that are bigger in size. If you have a medium to large sized cat, this will be more suitable as it is bigger and gives your cat more space. It is also great for multiple cats. Super quiet, clean and efficient! Both variants have a lip extender and you could also opt to purchase a fence that closes with the lip to act as a powerful boundary which could also be your cat's entrance into the globe. Basically, the distinctive feature is the globe: the LR Bubble Globe has a window that actually resembles a "Skylight Bubble" which helps to enhance the space by 3 inches (front to back depth) and gives the litter chamber a natural light. Not to mention it looks pretty cool too. Both are easy to operate and set up while enabling you to have no contact with waste. ​Both also work with almost all kinds of clumping litter (except pine). 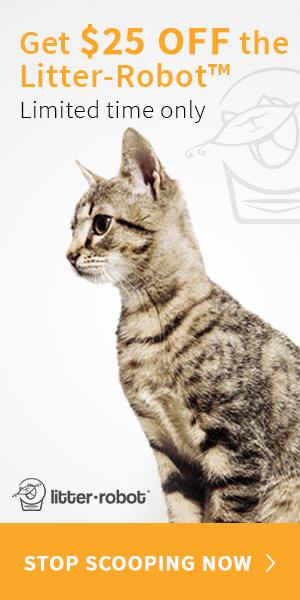 Cat Genie is also an automatic cat litter box that rinses waste away and cleanses itself. It uses litter-like washable granules to satisfy your cat’s need and urge to burrow and cover. Ideal for cats of normal size and 6 months or more seasoned, Cat Genie also requires hook up to cool water and electrical outlet. When you purchase the Cat Genie, it also comes with biodegradable, recyclable SaniSolution cartridge. Washes the waste in only 7 minutes! Some cats do take some time to get used to an automatic box. One tip to ease your cat into it is to unplug the machine first and let your cat get used to it with the machine turned off. In this way, your cat might be less nervous about it. The LR elf-cleaning litter box is the perfect solution for you to never have to manually clean up your cat's litter box again. Spend less time cleaning, and more time enjoying time with your cat! You can use this programmed litter box with any plastic rubbish pack and it will work. You save money with the cat litter and you can also save time – we truly enjoy this product. Not to mention, it will definitely be a conversation starter in your home (how trendy and unique does it look!) Overall, Litter Robot is a great fit to solve any of your problems regarding cat litter. Just for my readers only, you get to grab $25 off from Litter Robot. With a 90 day money back guarantee and a 18 month full warranty, you really have nothing to lose. This is my top recommendation for litter boxes so do give it a try. Click here to read more & order yours! That looks like a great product.